Got a youngster who speaks her mind? 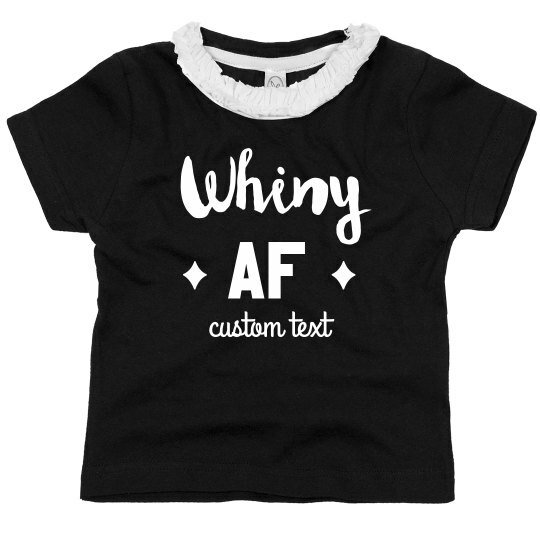 Get her a shirt that warns everyone about her sassy personality! You can customize the text at the bottom to add a personal touch to the shirt. She is sure to rock the funny design with the help of a girly ruffle collar.